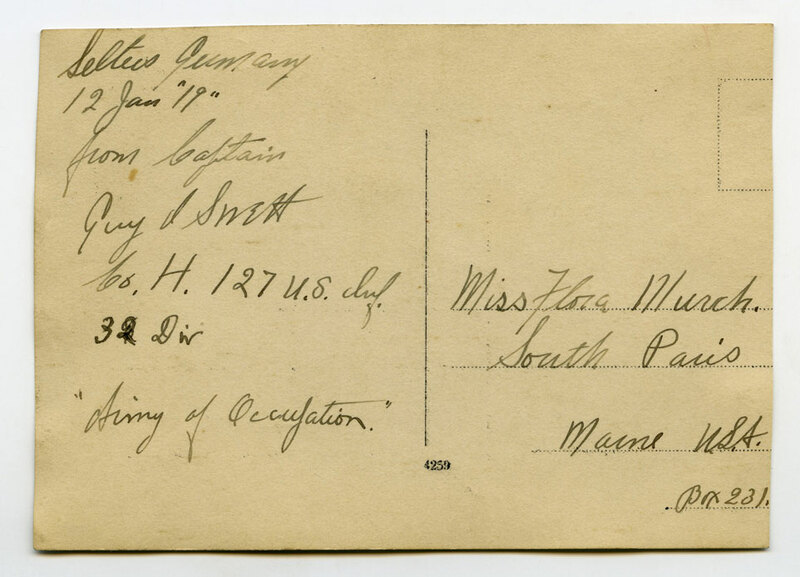 Based on the writing on the reverse of this photo card, the 127th was one of the four infantry regiments in the 32nd. This man’s rank as Captain also indicates he would have been appointed the Company commander. I have a trunk with the name charles S. Johnson on the side of it and it appears to be an old military trunk and i am looking for information on Mr. Charles S. Johnson. Can you please help me. A search of the recently-released 1940 census identifies Guy Swett in Paris, Maine, age 54. His wife is from Germany and he was working at the time as a joiner in the US Navy yards. This would appear to be your man. My grandfather, Michael Sarf (1896-1972) mentioned to me a Captain Swett as his company commander (Co. D, 103rd Infantry) in the A.E.F. The Regimental History of the 103rd does indeed list Guy Swett as a 1st Lieutenant, promoted to Captain on October 24, 1918 (page 34). I can find no other mention of him. 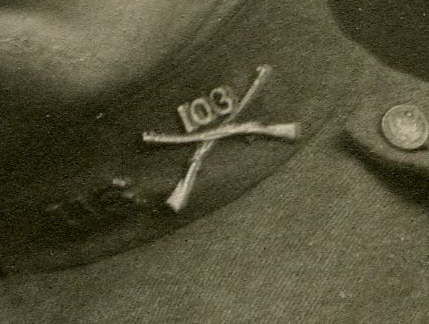 looking for photo of Co. H 103 inf. because my grand father Thomas E. Bishop was wounded and gassed use to be a photo in his home but is now lost. 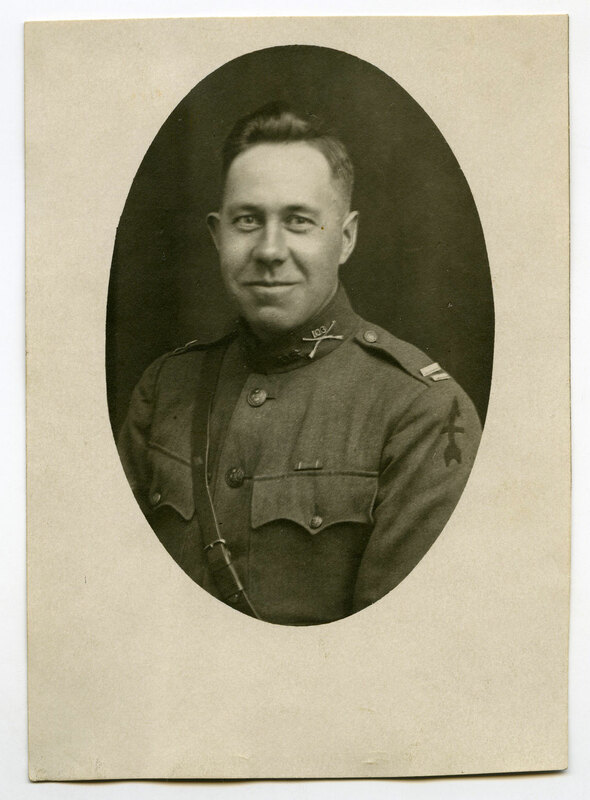 My Great Grandfather was in the 103 infantry 26th division.Eddie Carey .He received Distinguished Service Cross for his action in September of 1918.I do not have any photos of his unit but I do have photos of my Great Grandfather in uniform .